Freshman Madisyn Hartley scores game-winner late in 2nd half as Huskies upend Dexter. 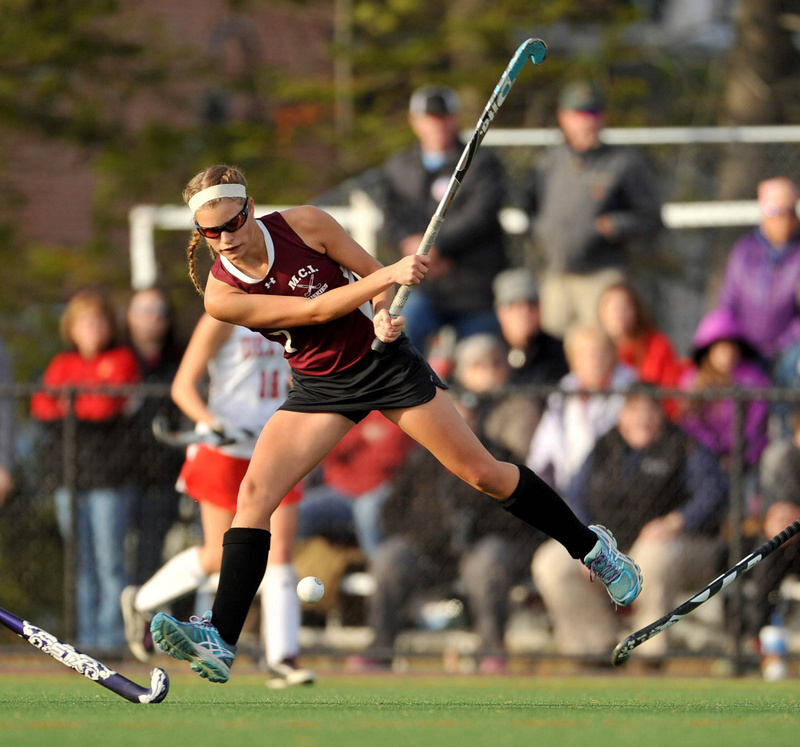 WATERVILLE — Sometimes the best strategy in field hockey is to hit the ball and hope. 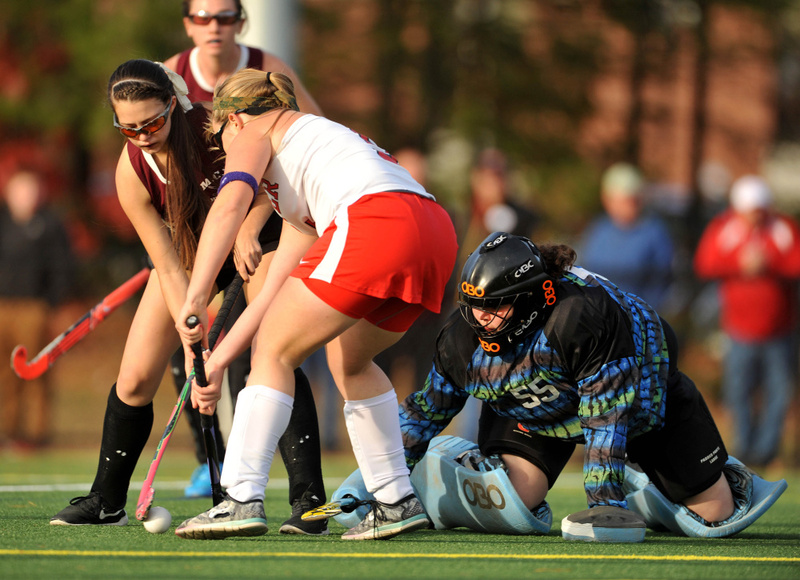 With 11:35 left to play in the Class C North regional championship game at Thomas College, Maine Central Institute freshman Madisyn Hartley stepped just inside the penalty circle to the right of Dexter goalie Kaitlyn Paquin and launched a shot her way. “Whoever was there I just wanted to hit it in or (see) if it could go in,” Hartley said. 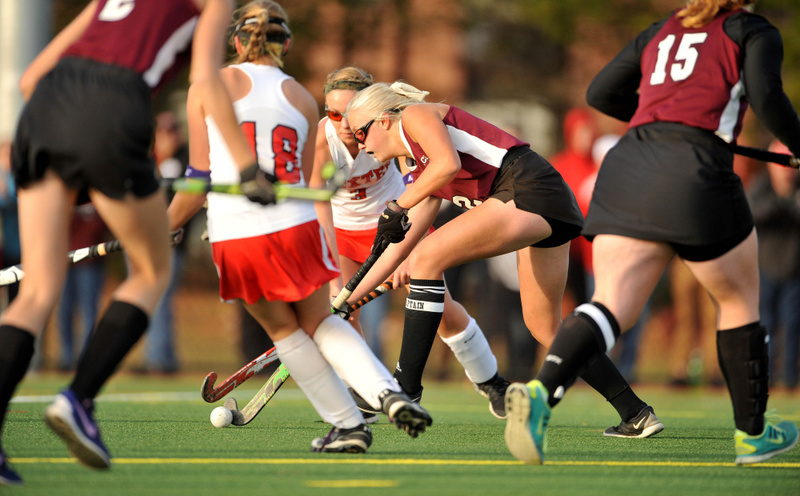 Her shot did indeed go in, off the foot of a Dexter defender, and it stood up as the Huskies won the game 2-1. The title was the first ever for MCI (13-4), which will face another first-time contender in Class C South winner Oak Hill for the state championship Saturday at the University of Maine. 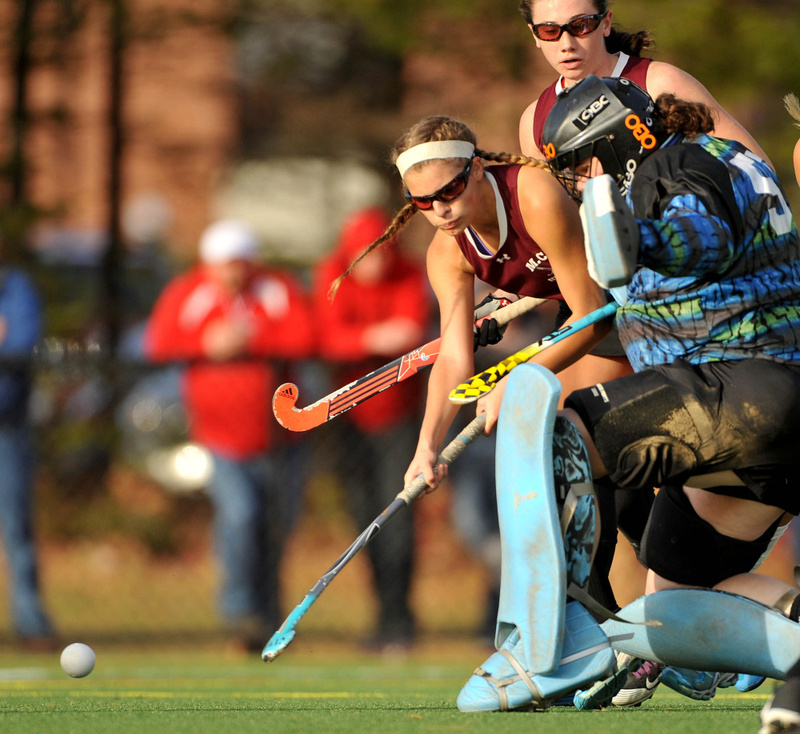 After a scoreless first half, the teams traded goals midway through the second. Sophomore Addie Williams picked a shot out of the air and knocked it in at 22:55 to give MCI a 1-0 lead. The Tigers (14-3) answered just over four minutes later when junior forward Morgan Wyman tipped in a shot by Abby Webber past MCI goalie Mikayla Carr. The Huskies did a nice job controlling play at midfield with Emily and April McAlpine and Alison Hughes. The Huskies finished with 10 shots on goal, including six in the second half, to five for the Tigers. 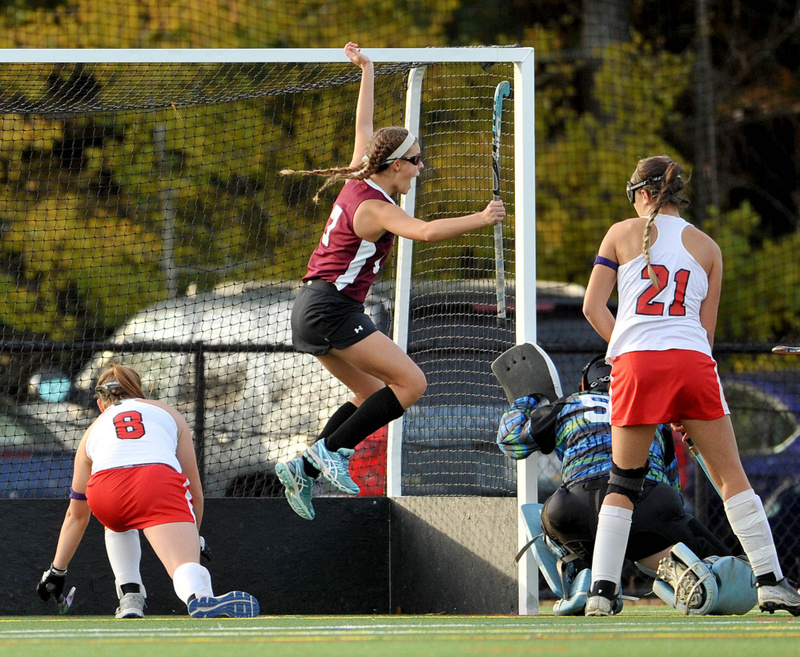 The Huskies play nearly all their regular season games on grass but the turf at Thomas College suited them just fine. Both goalies survived tests in the first half. Carr (four saves) stopped a point blank shot by Webber at the 18-minute mark, then Paquin (eight saves) robbed Kali Doiron 10 minutes later.